We will be conducting a Six Thinking Hats Public Workshop in Perth on June 2 next year on behalf of Chalmers International, the Official deBono Training Distributors for Australia and New Zealand. People and organisations are seeking improvement and quality across many areas except that which is the most important – the quality of the way they think. When we improve the quality of our thinking the quality of the actions that follow will improve. 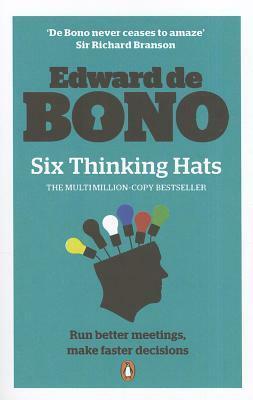 The Six Thinking Hats are designed to dramatically improve the way individuals and groups think. The methods are used to look at issues from multiple perspectives and help teams to move beyond their habitual thinking styles to achieve a more rounded and thorough view of a given situation. All attendees will receive the Six Thinking Hats Certificate of Merit along with the Official Blue Hat Facilitator lapel pin. Also included will be a 10 week follow up course of handy application hints via email to help build upon the learnings. Think well, prosper & we’ll see you in June!